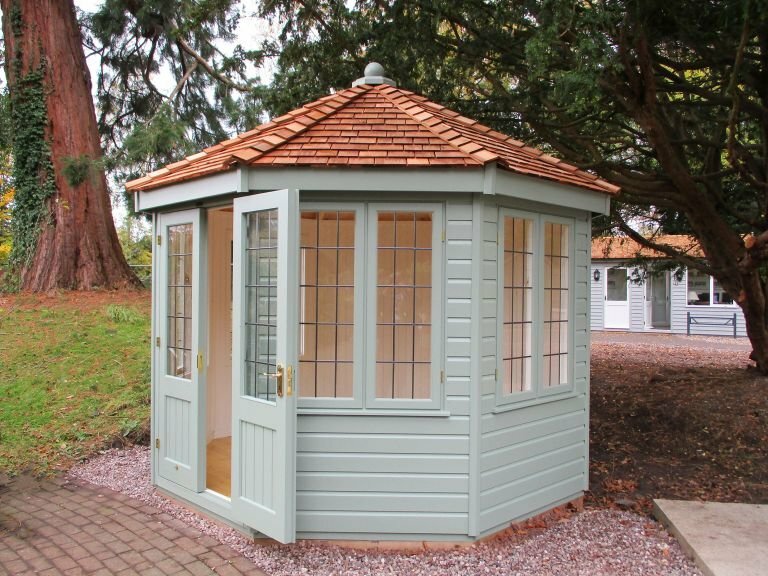 A very pretty octagonal summerhouse, this Wiveton is traditionally styled with the cedar shingle tiles on the roof, and leaded windows, making it an attractive garden retreat to relax, work or entertain in. 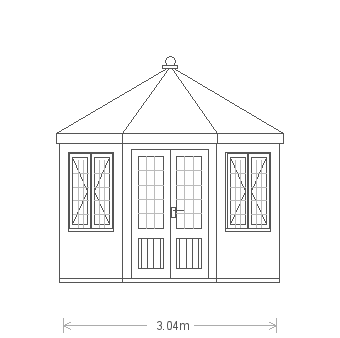 Opaque Valtti paint in the colour Lizard will allow this summerhouse to blend in nicely with your garden, and the painted matchboard lining, and insulation in the walls and ceiling will create a comfortable atmosphere inside to sit in. 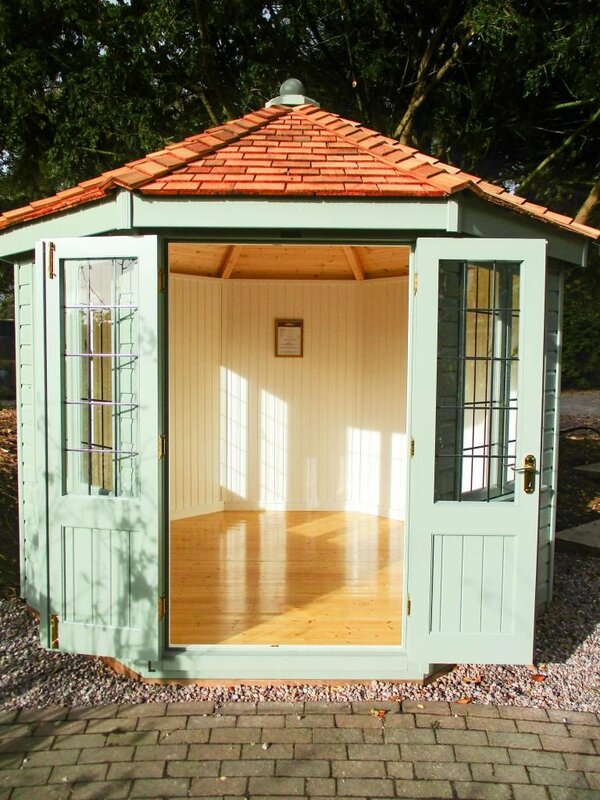 This stunning summerhouse was recently designed and hand-built to order at our Norfolk factory for a customer based in Donnington, Berkshire. 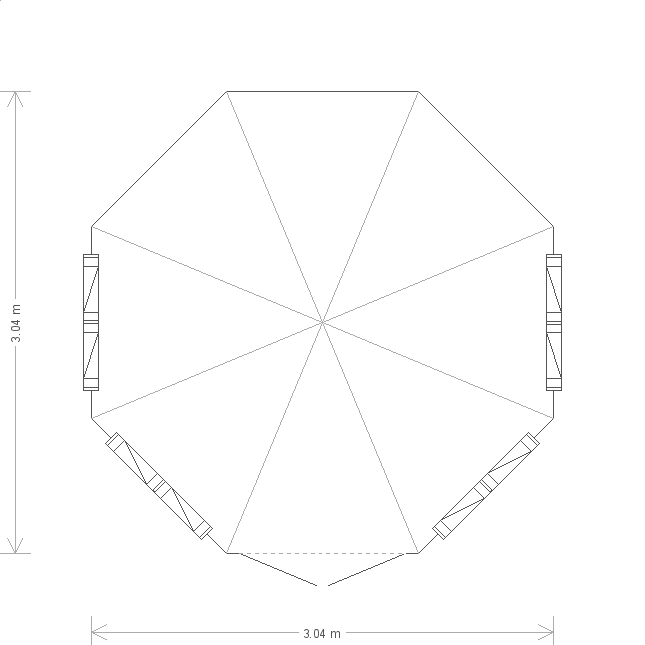 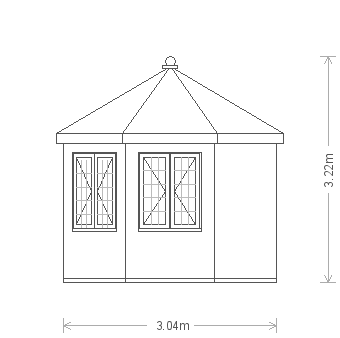 As with all of our buildings, the summerhouse was then both delivered and assembled at the specified delivery address by our installation experts. 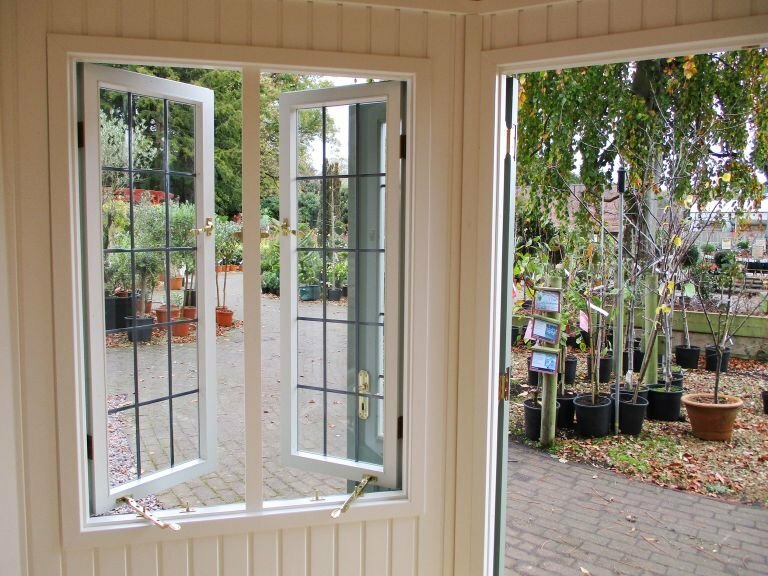 The Summerhouse is called the Wiveton, after a beloved village on the North Norfolk Coast local to our HQ.